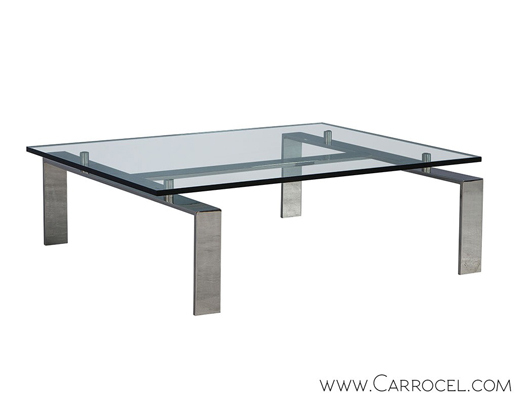 Elegant penthouse furniture can help you decorate your cozy, luxury apartment with panache. Furnishing your home in the sky or a studio apartment is not without its challenges, and many are intimidated by the prospect of decorating a unique layout. Our design experts share simple tips that will take your décor to the next level of chic. Go big in small spaces: Aim to make a visual impact with a few large items. Avoid smaller pieces which can create a cluttered and messy look. Use your seating as a jumping off point. 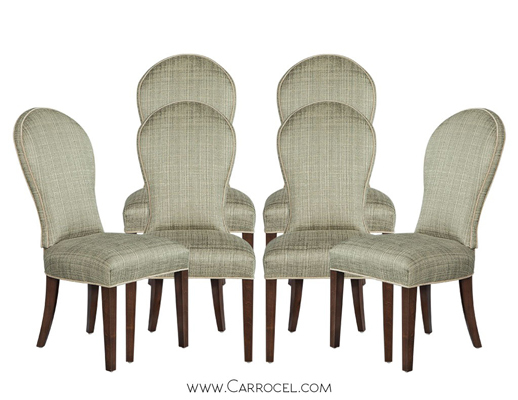 Carrocel’s luxurious Custom Zebra Wood Deco Style Parlour Chairs are an excellent choice. 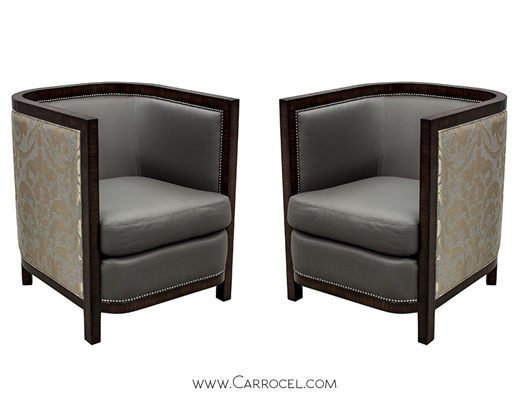 They can be custom finished and upholstered to your taste. 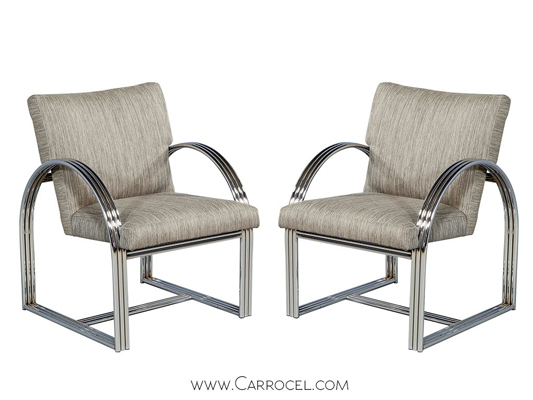 If you prefer an antique look, a pair of our Vintage Chrome Frame Chairs might be just right. The polished chrome brings a classy look. Stick to a monochromatic palette: It makes everything recede into each other while helping you achieve continuity so that the room looks bigger. 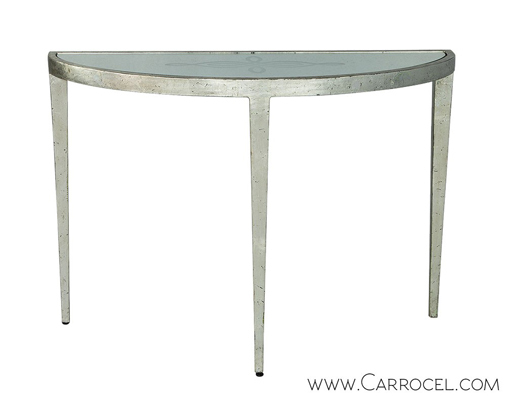 Our designer Pall Mall Cocktail Table is a beautiful example. Styled in a modern, minimal manner, this timeless classic can be placed in the simplest as well as the most ornamental settings. Too much colour or pattern tends to have the opposite effect as it breaks up space into smaller components and can make things look crowded. 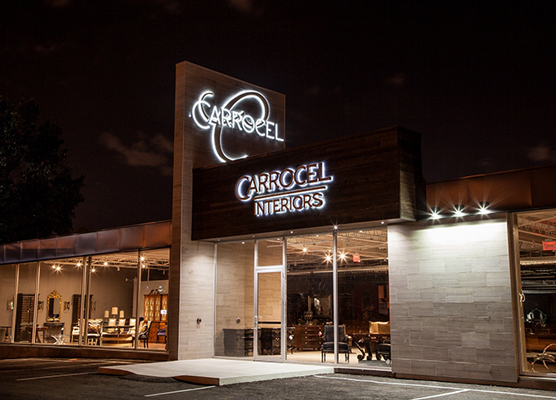 Come to our Carrocel showroom for design ideas. Opt for custom furniture: Pre-made furniture can be too big or too small, which will make the space look cluttered or bare. Consider investing in custom penthouse furniture that looks great and fits well. Our Custom Rollback Slipper Settee with ebonized lacquer, hand rubbed to a beautiful patina adds an air of sophistication and visual detail. 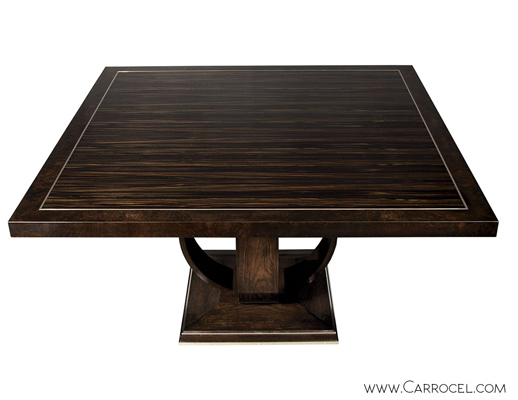 If you prefer to splurge on dining tables, our custom made art deco style Macassar Ebony and Burled Walnut Square Dining Table is the ideal choice. 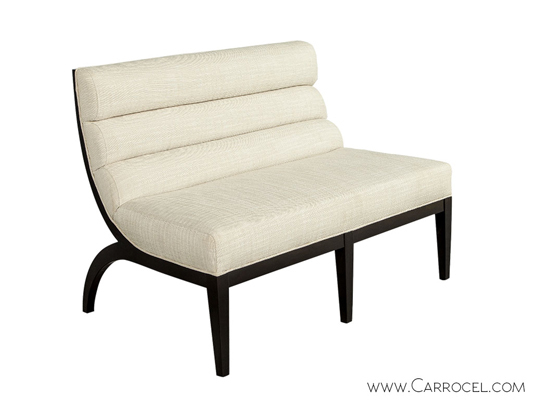 The elegant space-saving shape and design is just perfect for condos and smaller rooms. 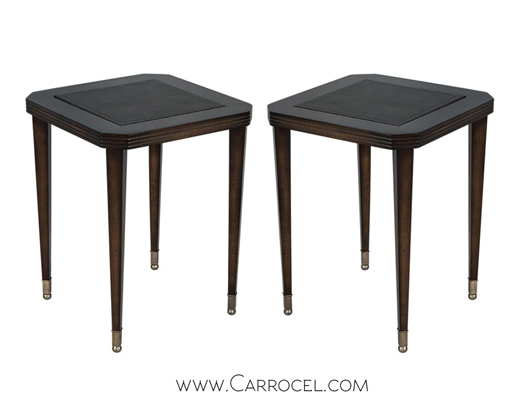 Pair it with Round Back Paula Dining Chairs, a Carrocel exclusive, for a lasting impression. You can save on the other accent features, such as rugs. For your bedroom, select a chic bed or elegant wardrobes. We have a wide range to suit your style. Pay attention to lighting: Window space is important. Penthouse apartments typically utilize sliding glass doors to allow as much light into the room as possible. While you may be restricted in this sense, it is worth considering whether you can make any alterations to create more window space. Our modern and vintage penthouse furniture can help you create your own unique and elegant decorating style. 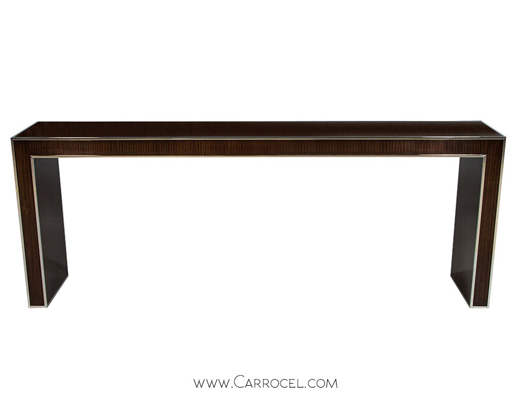 The luxurious Carrocel showroom in Toronto has items from all around the world for you to choose from. We also offer many options to personalize upholstery and finish. Come and be inspired by our fine displays which are periodically refreshed with contemporary and vintage items. Our experienced staff will be happy to discuss your decorating ideas and help you make a selection. To give your penthouse a unique and elegant touch, please visit our furniture showroom. Call us at 416-999-2525 for more information.